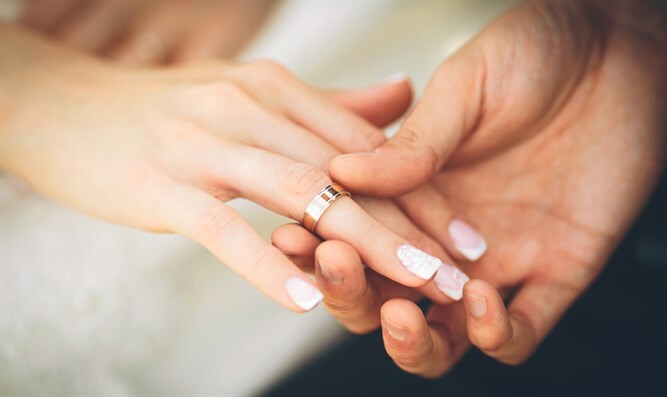 A special survey commissioned by the Yad L'Achim organization revealed that the overwhelming majority of Jewish Israelis oppose intermarriage with non-Jews, including Arab Muslims. The survey was conducted by the Maagar Mohot Survey Institute, headed by Professor Yitzhak, and was conducted among a random sample of 507 respondents constituting a representative sample of Israel's adult Jewish population (aged 18 and over). The sampling error in is 4.5%. Participants were asked what their positions would be regarding the possibility that their children choose spouses who are not Jews. Eighty-one percent of respondents answered that they are opposed, while 44% answered that they strongly oppose. Only 4% of respondents answered that they would strongly support their children marrying non-Jews. Respondents were also asked what their positions would be regarding the possibility that their children choose an Arab or Muslim spouse. Ninety-three percent answered that they were opposed, with 70% being strongly opposed to their children marrying Arabs or Muslims. Only 1% of respondents said that they would strongly support their children marrying Arabs or Muslims. Rabbi Shmuel Lifshitz, one of the leaders of Yad L'Achim, said, "The survey confirms once again the firm position of the majority of Israeli Jews, who want to see their sons and daughters maintain their Jewish identity, their heritage, and the ways of the people of Israel, by choosing to marry Jews." He added that most Israelis wish to safeguard their Jewish identities "despite the voice of the liberal minority on this issue, which is sometimes louder than the voice of the majority of Israeli citizens."